Jaime’s Bakeshop has been in business for 25 years. The current address – 1612 Centerville Turnpike, Virginia Beach, is their third location. They are located at the Centerville Commerce Center near the US Post Office and a storage facility. Their first location was in Chesapeake, then at Indian River Road. The opportunity to buy their own building was the main reason they settled in their current location. Jaime’s Bakeshop serves Virginia Beach, Norfolk, Chesapeake, Portsmouth, Newport News, Hampton, Suffolk, and Williamsburg. 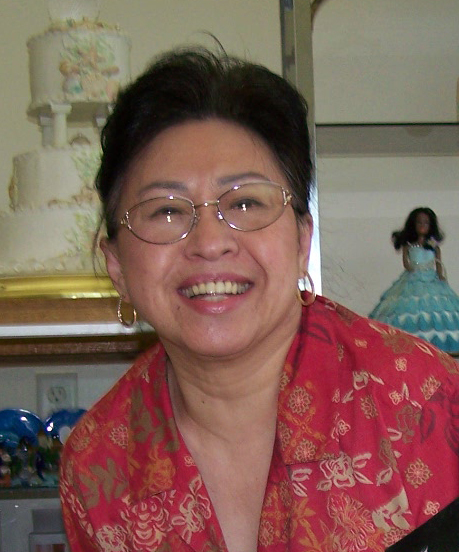 Nenita Purificacion is the Principal Cake Designer. Nenita’s perfectionism, attention to detail and artistic expression is evident in the quality and finish of her cake designs. Every wedding cake gets the same kind of care and full attention she has given to her children. Nenita is a self-taught cake decorator. She inherited creativity genes from her mom, Irene, who owned a bakery and cake decorating business. Nenita’s relationship with her customers do not end with the wedding cake. Whether it’s anniversaries, baby showers, birthdays, graduations, military and corporate promotions, or other milestone in life we traditionally celebrate… loyal customers remember the great experience they’ve had with Jaime’s Bakeshop. As repeat customers, they order more gorgeous and scrumptious cakes for their special occasions – this has become part of their lives. Nenita retired from Sentara Norfolk General Hospital after 27 years working as a Senior Medical Technologist. She joined her husband, Jaime, to pursue a dream to be her own boss. In the 23 years since, their customer base have grown. Over the years, Nenita has trained several other cake decorators. Having gained these valuable cake decorating skills, some of them have moved on to pursue their own passions. Jaime Purificacion is the Head Baker and Financial Manager. Jaime holds the secret recipe to the delicious taste and moist texture of Jaime’s Bakeshop’s cakes that everyone is raving about. This recipe is the envy of all the other bakers that have tasted Jaime’s Bakeshop cakes. Jaime is also in charge of delivering and setting up wedding cakes at the wedding reception venues. After serving for 22 years in the Navy, Jaime retired in 1988 as a Senior Chief Mess Specialist. Still in his prime, he decided to pursue his passion for cooking and baking. Together with Nenita, they opened Jaime’s Bakeshop. Initially, Jaime’s Bakeshop was a full service bakery. In order to meet the increasing demand for their cakes, they pared down their services and focused their efforts on special occasion cakes. As proud of their accomplishments as owners of Jaime’s Bakeshop, Jaime and Nenita are even more proud of their sons – Jim and Joel. Both are now also proud fathers. 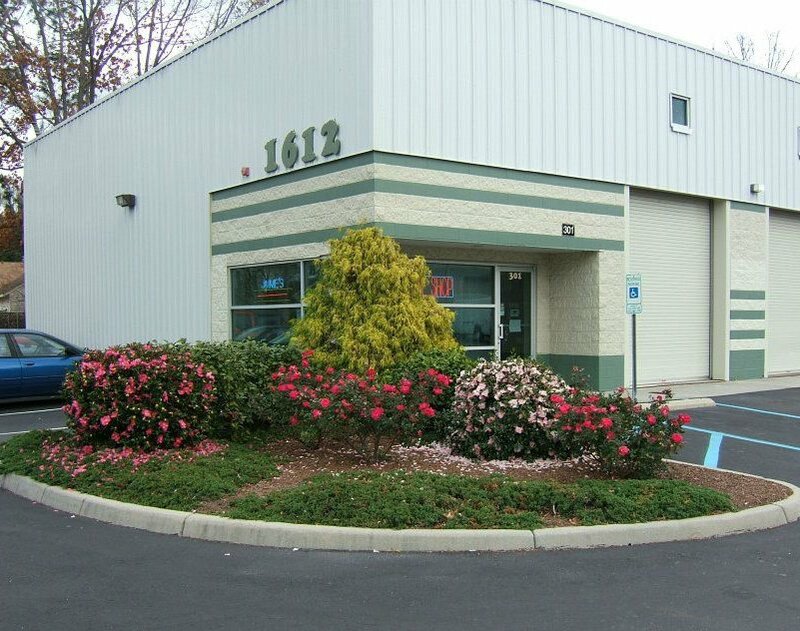 Jim owns and operates Pure Automotive – a car maintenance shop in Virginia Beach. Jim and his wife, Cheryl, have two children, Lorenzo and Liana. Joel and his wife, Suh, have two children. 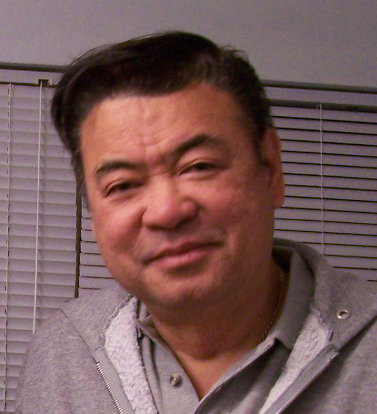 Dennis Santiago is a Cake Decorator. Dennis learned cake decorating from his mother, who used to work for a famous bakery in Manila. 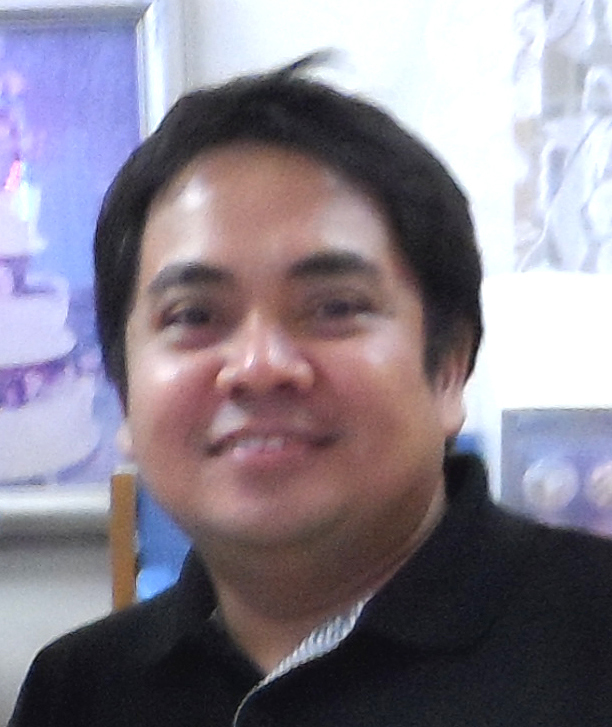 He honed his skills working in Quezon City, Dubai and Kuwait. Dennis has been making rolled fondant sculptures simulating mermaids, animals, people, handbags or whatever suits the customer’s desire. Customers are delighted by the handwriting script artistry on these edible art form. Nenita and Jaime were impressed at the cake decorating talent of Dennis the first time they met him while on vacation in the Philippines. Although it took several years to petition and sponsor Dennis, everybody is happy he finally got a permanent resident visa. He plans to bring his family to join him in the near future. 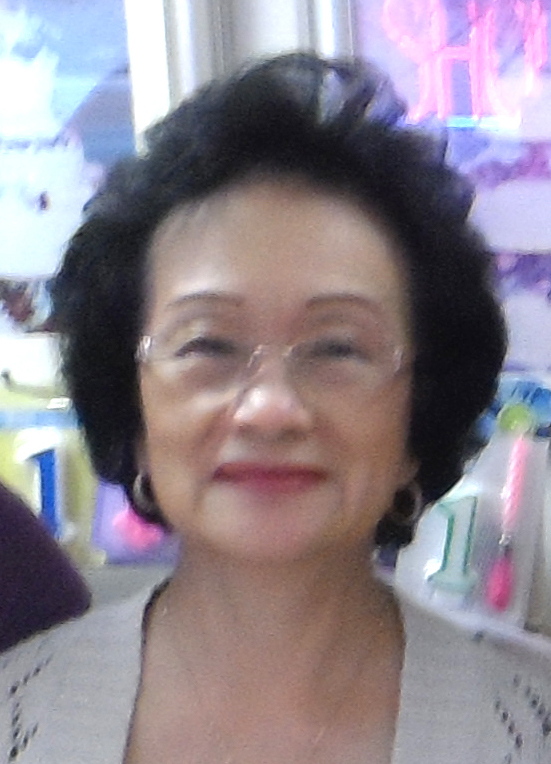 Vickie Estanislao is an Assistant Decorator. She makes buttercream flowers, chocolate embellishments and fondant art required by the design. Her work includes prepping, editing, boxing cakes, taking orders and customer service. She goes out of her way to make sure everything is running smooth. Her careful attention to details is helpful in avoiding mistakes. Vickie is the mother of Cheryl, Nenita’s daughter in law. Vickie and Ike have three children and four grandchildren. Good Evening. I would like to inquire if your bake shop makes filipino desserts. I am not located in Virginia Beach so another question would be if you shipped baked goods. I am interested in simple single servings of desserts like mamon, Biko, puto, Kutsinta, ensaymada, etc. just needed to know how long the good stay fresh, how long to ship if you do that, I’m looking to serve 250 guests for a Christmas party. II look forward to hearing from you. Thank you!! Hi My Name is Debbie Varnell and I was supposed to pick a cake for my grandson’s first birthday today before you closed. His birthday is tomorrow and I already paid for the cake. I am very very sorry that is did not get there to pick it up. My oldest grandson had a serious issue today that we had to help with. I have been a customer for over 20 years and would do anything to get this cake this evening or in the morning. I would be willing to pay someone extra for the time and trouble of meeting me there. If there is anything you can do please call me on my cell 757 407-9944. Hi my name is kristen. I have a wedding on may 21, 2017. If youre available and offer cake testings i would love to set up a date to do that. Hi Kristen, Please call 757-502-0724. Thanks! Would like 20 cupcakes for July 5th. Was wondering if we can get them in different flavors? 5 chocolate, 5 strawberry, 5 red velvet, 5 almond….all with buttercream icing in yellow.